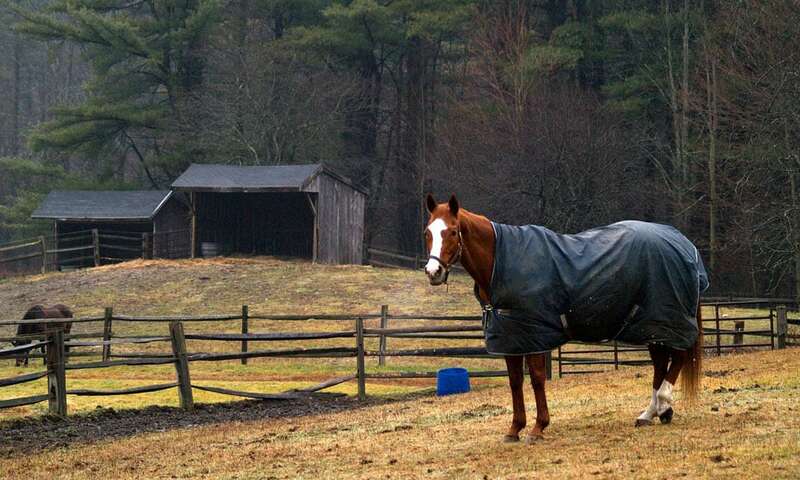 Learn how to blanket your horse the proper way. Stop the chill by keeping the rain off their back. How do you keep your horse warm and dry in the fall and winter? The answer might just be to blanket them. Many horse owners equip their best friends with an extra layer of protection when the weather turns cold, so make sure you’re using blankets the proper way! 1. Turnout vs. stable blankets: Turnout blankets or sheets are able to handle more extreme weather. They are waterproof and usually have a tough exterior. Stable blankets can’t handle rain or snow. They will absorb water if it’s wet enough outside. 2. Light, medium, or heavy weight: These terms describe the fill or how thick and dense the blanket is. A light weight is usually a sheet without a lot of “stuffing.” Medium weight turnouts have roughly 180 to 200 grams of fill. The thickest, a heavy weight, has around 300 to 440 grams of fill. Temperatures should be very cold for the latter kind. 3. Denier: This refers to how tough the outer shell is. A high denier, such as 1200D, is very durable. Choose the best denier for your horse based on how rough they are with blankets and intended usage. 4. A secure blanket: When hunting for the perfect blanket, you may be surprised with all the different options. There’s belly straps, leg straps, and even belly bands. Each one is designed to prevent slipping or shifting. 5. The proper fit: Too small and your horse will get nasty rubs, but too big and the blanket will shift around. You can avoid this by measuring properly from the beginning, trying several different brands, and making sure all areas are covered. It doesn’t have to be complex. Do your research and your horse will be just fine this winter!